Heat a large frying pan with 2 tablespoons olive oil. Add the cubed eggplant and sauté until slightly golden. Add the onion, celery, jalapeño and garlic and continue to sauté until softened. 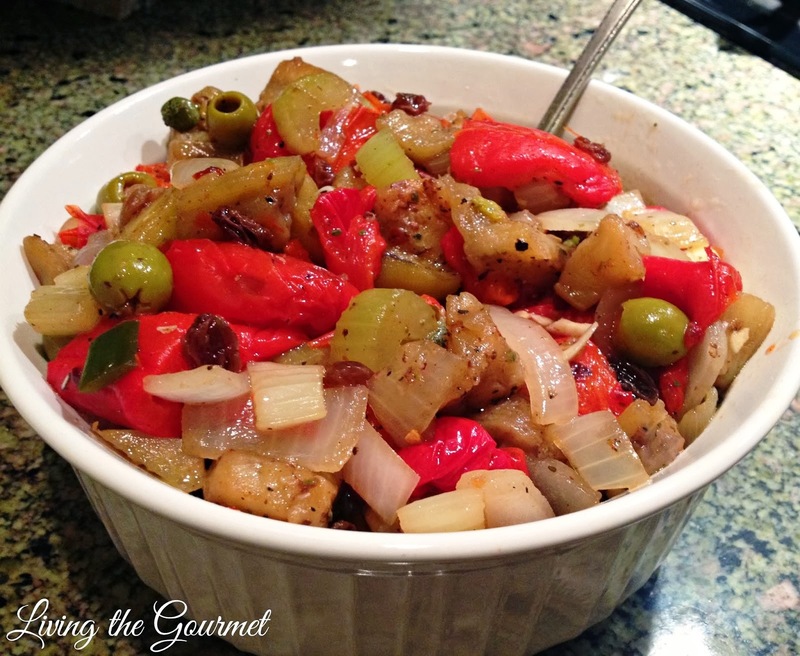 Add the sliced peppers, raisins, capers, olives and toss. Combine the vinegar with the salt and sugar and stir. Add this to the pan and toss. Turn off the heat; drizzle with a little extra olive oil and let cool a bit before serving. don't forget to visit her Avon e-boutique! !